Many readers will remember the Pictures Of You exhibition held at the Meanwhile Space ‘You Are Here’ pop-up shop space on London Road, North Cheam, between February and April this year. Well all those pictures have been put together into an Ebook which you can look at online or download for free. It's 200 pages are full of interesting photos revealing life and the history of North Cheam over time (and a bit of Worcester Park) ranging from rural scenes from the early 20th century, to protests outside a nuclear bunker in the area. They were sourced from contributions by the local community and research undertaken at Sutton Archive and include images from the collection of local historian (and occasional blog contributor), David Rymill. 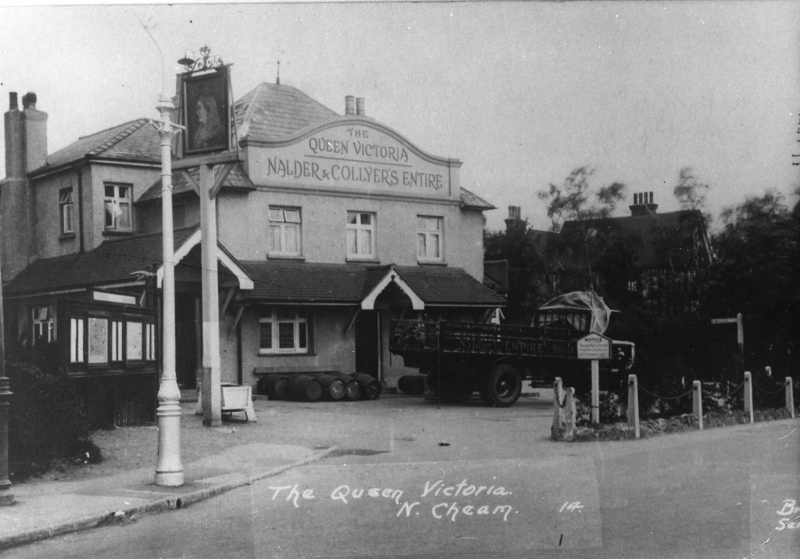 The images collected in the ebook tell a story of North Cheam’s life and history, and of wider social and geographical changes. 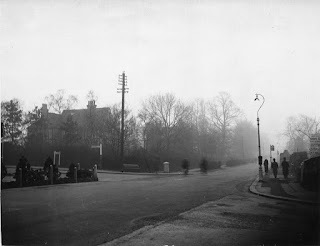 Photos of the Lower Cheam Farm showing the areas former agricultural life, contrast with Charles E Brown’s aerial photos from the 1930’s depicting the rapid development of housing in the area. Whilst images of Brock’s Fireworks Factory and St Anthony’s Hospital give insight into working life and the evolving health care system, from open-air wards to the building of St Raphael’s Hospice. And a wide variety of other material, including: 50 years of St Oswald’s Church, VE day parties, the 1987 hurricane, Cheam High School sports day, the 93 bus, St George’s day parties, and the North Cheam nuclear bunker are chronicled. A particular focus of the book is London Road and the changing nature of the high street and Victoria House. Tim Bridle donated images he took from Victoria House’s elevated car park in 1986, and images from Sutton Archive show the three former pubs on the site, whilst a CGI image from Stonegate Homes shows its projected future incarnation. These are shown alongside alternate designs for a Victoria House of the future, by year 5 students from Cheam Park Farm School, produced as part of the project. It also includes feedback from a questionnaire on North Cheam undertaken by Cheam Park Farm School students with friends and family, interviews with residents, excerpts from local history books and project notes by the artists. The project was commissioned by Sutton Council and Meanwhile Space, supported by the Mayor for London’s Outer London Fund, and run by artists Charles Holden and Sam Skinner. The original exhibition space functioned as an open-access archive where photos were scanned, interviews were recorded, and local history books and other material were available to study. 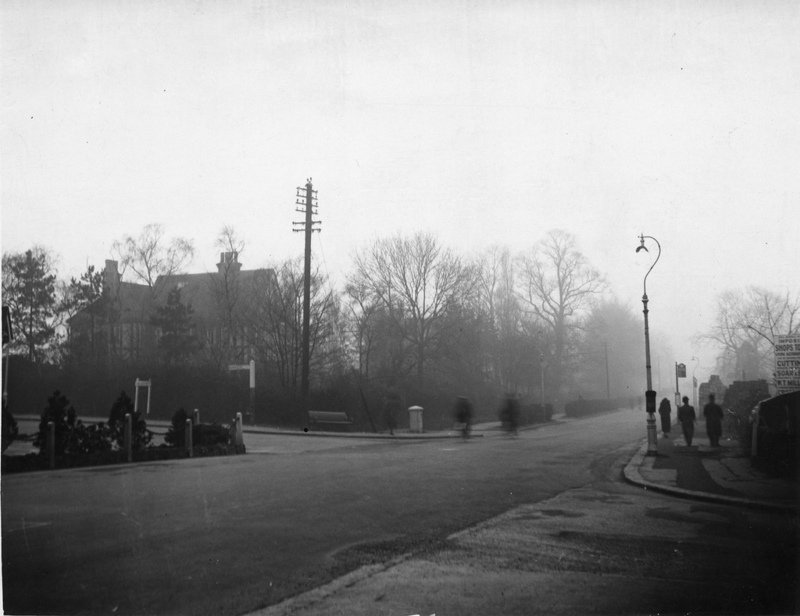 Together, it is hoped the book serves as a document of enquiry into North Cheam and the place of photography within it, asserting the rich and varied histories of a place, and functioning as a resource for engagement with its diverse identities and possible futures.